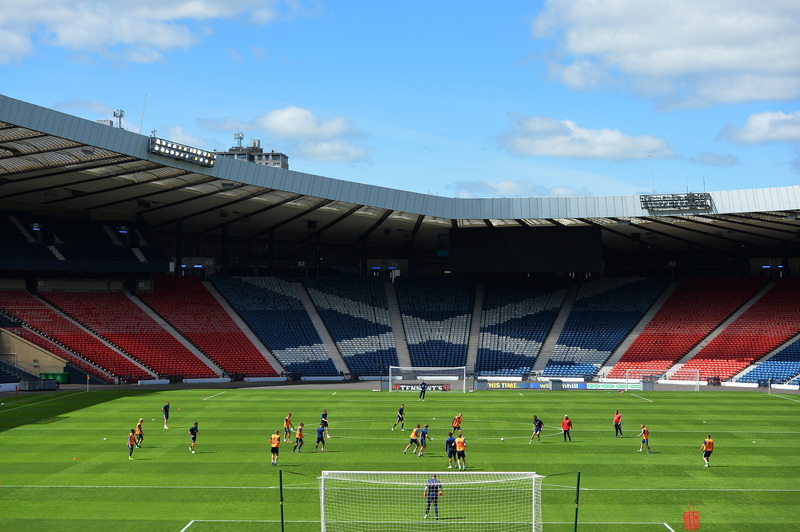 The Scottish Football Association have recently announced their plans to review their current lease on Hampden Park, due to expire in 2020. Presently, the SFA pay a rent of around £800k to Hampden’s ownership company (who also take rental income from concerts, athletic tournaments and the like), and while exact finances are not known, it is thought that Queens Park FC, Scotland’s oldest club who remain amateur, take around £300k of this rental income. But what are the advantages, disadvantages and likely impacts of staying or moving? And how can the best interests of Scottish Football be preserved and maintained as a result of any decision? Queens Park have cited tradition as a reason to stay at the historic venue. Scotland have, generally speaking, played at Hampden since year dot, except in times of refurbishment or pragmatic relocation. Hampden is the traditional home of Scottish Football, the National Stadium famous throughout the world as a cauldron of noise for opposing teams, the home of the Hampden Roar, the venue for domestic and European Cup Finals – with the romance of domestic cup victories and great players like Puskas and Zidane performing wonders on this stage in the past. It will also be a stadium used at Euro 2020, illustrating the high quality nature of the Arena. Hampden has its pitfalls, there are awkward distances from the playing surface and less than ideal transport links back to the city centre for those unwilling to wait in long queues for the train. Later games can also cause issues with fans from further afield catching long distance trains back home – be that to the likes of Inverness, Aberdeen or even Pert or Stirling depending on the kick off time and day of the week the match is played on. So there are technical reasons as well as those from the perspective of providing fans with the best experience possible which detract from Hampden. Queens Park are a valued part of a Scottish football dynasty and regardless of your thoughts on them, or preferences for other teams in Glasgow or Scotland as a whole they do represent what is a fundamental sporting aspect of Scotland’s Football history. Whether it is the fact that they more than survive in Scotland’s League system while not paying players (just like when they were founded in 1867), or whether it is the fact that despite the limited resources they continue to produce international class footballers such as Andy Robertson. When they speak about history, tradition and more importantly sporting integrity, they are worth listening to. A further argument has been made on this last issue, citing the fact that aside from Hampden there is only Murrayfield (home of Scottish Rugby in Edinburgh), Ibrox (home of Rangers in Glasgow) and Celtic Park (home of Celtic in Glasgow) that offer realistically suitable alternatives. In recent times, Ibrox or Celtic Park have been used to host International or Cup Final games when Hampden has been unavailable. A permanent move to one or both these Glasgow Stadia would mean that the SFA would pay Rangers and Celtic rent and thus offer a financial advantage to both of these sides in comparison to all other sides in Scotland. This would also mean that either or would know that a final or semi final would be played at their own ground, offering an on field advantage – all calling into question the sporting integrity of the National body. The difference with paying Queens Park rent is that they do not pay their players, meaning that no sporting advantage is gained from the income. This is a very interesting point and one that needs to be carefully considered. The alternative of course is Murrayfield, Edinburgh. Currently the home of Scottish Rugby and a very capable stadium in terms of capacity (67,000), facilities and transport links. The main arguments against this move would firstly be the move from Glasgow to Edinburgh which in turn would affect (both positively and negatively) travel and attendance of certain groups of supporters. It may make life more difficult for west coast fans, but then easier for those from the east or Grampian regions. Secondly, it would mean that the SFA would be paying rent to Scottish Rugby, meaning that this money would leave the football game and go to rugby instead. The arguments for moving include the financial reasons cited by the SFA – it is yet to be seen whether this is just a ploy to negotiate a reduced rental payment of course. But the SFA have stated that the current arrangement is not considered to be viable at this point in time. The SFA clearly need to operate in a financially viable manner, however the sums quoted above would not appear to be completely unreasonable in this climate – particularly as they have been in place for almost 20 years at the time of writing. However a high rental value will in all probability be a cost that is ultimately passed onto the clubs and fans, so there is a clear advantage in securing the best deal – albeit possibly in the vain hope that ticket prices for International or Cup Final games are reduced to more affordable levels. In terms of what is best for Scottish Football, the argument made by Queens Park that it is unreasonable and inappropriate to offer a financial advantage to Celtic and Rangers for hosting large scale games is completely accurate. This is acceptable on an ad hoc basis, but to be tied into a long term lease would severely reduce the neutrality and sporting integrity of the SFA. This is not seen as a suitable solution, there are disadvantages with this and the long terms impacts it could have on Scottish football – which is already deeply polarised between the Old Firm. A move to Murrayfield would appeal to large supporters groups in terms of travel and amenities. It is already a neutral, National Stadium and so would offer an acceptable and appropriate venue for all large scale games. It has been proven to operate successfully as such a venue both for International Rugby matches but also as a football stadium. The nearby transport links (Haymarket Station) to the north and south would also allow for easier access to long distance trains for a large number of fans. Murrayfield is therefore an extremely viable alternative, particularly in comparison to the minefield which is a move to either of the Old Firm stadiums. The long term disadvantages of a move to Murrayfield would however include the loss of money from “Scottish Football” and into the pockets of Scottish Rugby. While from a broader National sporting context there is no real issue with this, it does leave a gap in terms of inward investment in football. A Scotland fan’s ticket would no longer trickle down to grass roots football, or into funding Queens Park who in turn contribute heavily to grass roots, traditional football. This would leave a funding gap – which the SFA would be required to plug, both in terms of matching investment levels and also as a duty of care in terms of ensuring that the SFA are not the direct cause of the overall demise of Queens Park FC. This is a further point: Without the rental income from the SFA would Queens Park survive? Would the concerts and athletic competitions be able to sustain the club or would this require a renegotiation with the ownership body? It is not beyond the realms of possibility that Queens Park could find themselves homeless and then quickly fall into great financial difficulty which could lead to the ultimate demise or death of Scotland’s oldest club. The SFA therefore has a duty of care here, a requirement to ensure that in looking after their own financial interests that Scottish Football itself is not adversely affected. Any funding gap will likely be paid for by the fans, increasing already expensive ticket prices regardless of the option chosen. It must also be stated that any cost saving the SFA achieve has yet to be confirmed as a cost saving to be passed to fans. In terms of the correct or ideal scenario, it is clear that from an integrity perspective the choice must lie between Hampden and Murrayfield. The best option out of the two will come down to finances and should also involve which option provides the best option for Scottish Football as a whole, not just for the SFA. Financial implications for Queens Park, grassroots football and supporters also need to be considered and we can only hope that the SFA will do this appropriately. This article was originally published here at thefootballblether.com.